Chardonnay and Pinot Noir grapes were sourced from a range of premium cool climate vineyards in the southern wine regions of Australia, including the Yarra Valley, Strathbogie Ranges, Goulburn Valley and the King Valley in Victoria. The diversity of these sites brings complexity and interest to the CHANDON S core wine style. Staying true to the méthode traditionelle, CHANDON S has all the signature elements of Chandon at its heart. Our wonderful Australian vineyards provide zesty and vibrant Chardonnay and the more elemental red fruits and spices of Pinot Noir, while bottle fermentation and ageing establish a gentle bead and mousse. Unconfined by the Champenoise rule-book, CHANDON S features an innovative approach to dosing bottle aged wine with a novel and highly aromatic liqueur d’expedition of hand crafted Orange Bitters. This slightly sweeter dosage level completes the fresh and vibrant palate and resonates with the bitterness and orange aromatics, balancing the wine’s acidity when served refreshingly cold. The core of the authentic Chandon Bitters is orange peel, giving a wonderful aromatic citrus intensity. Fresh ginger and dried spice infusions add an exotic element while extract of gentian root delivers delicate bitterness to the palate. 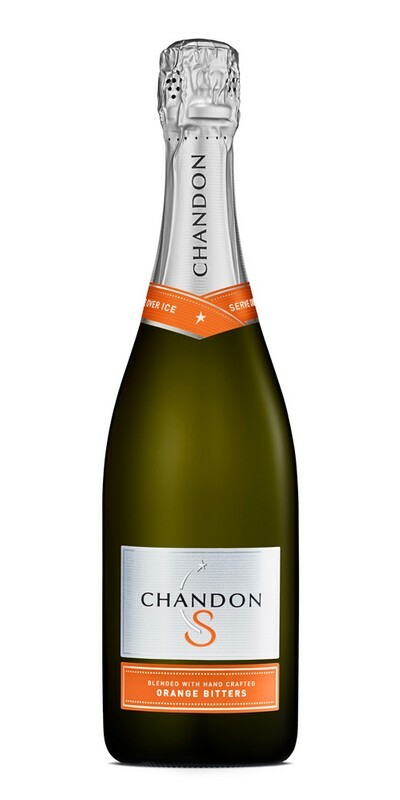 The Chandon Twist is the recommended serve for CHANDON S. Simply pour 120ml of Chandon S into a stemless glass. Add ice up to 2cm from top of the glass and garnish with a twist of orange peel.